Uriel calls yesterday and asks me if I want to write a brief contribution on two of his installations for the catalogue of their exhibition at ifa Galerie in Berlin. I have seen these installations and can, so I believe, remember them well. I nonetheless ask Uriel to send me an e-mail mentioning a few facts of importance for the works in question, such as their titles (did he give them a title?). They ought to jog my memory. Uriel says he will pass on the reminders tomorrow. But would it not be much more fitting to the works were I to try to write about them without such reminders, just the way I have held them in memory after five or six years? One installation consisted of a video projection accompanied by the playing of a tape. I thought it was a Kaddish, but Uriel corrected me on the telephone. The name of the other prayer has slipped my mind. It will probably be included in the e-mail tomorrow. Uriel had constructed a rectangular space for the projection in which benches had been set up, or so it seems to me now. Is that right? 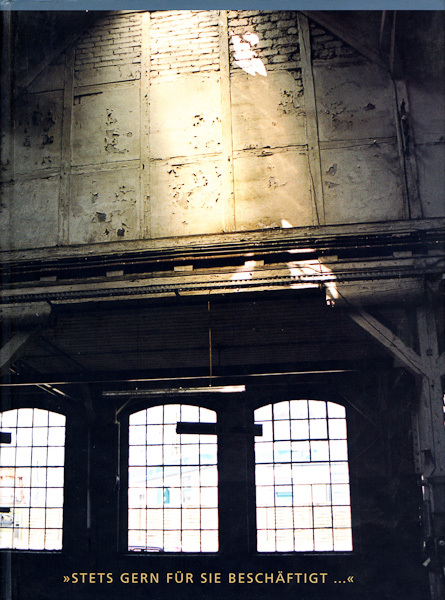 The video, which could be seen on one of the walls and which Uriel had shot during a trip to Poland, showed an empty swimming pool in an old building. The camera soared up and up without ever coming to a standstill, until it had turned completely upon itself and had swung back, its flight still unbroken, to its point of departure. That strikes me today as being an extremely elaborate and technically difficult movement, one that my memory associates in retrospect with Sokurov’s Russian Ark. [No, I am mistaken. Uriel’s description, which I have since received, leaves no doubt about the fact that the movement is cut short, since the body, the bearer of the camera, is standing in the space.The where one was at the beginning. The arch opens out, the end does not simply communicate with the begin- ning. Uriel has thus constructed his space for a voyage of discovery which transpires in another space. Here one can discover what is to be discovered over there. Yet as a viewer who has never travelled to Poland and who has also not inspected the relevant documents in the archives, do I know that I am being shown the inside of the synagogue of Poznan, which in 1942 was re-functioned into a swimming pool by the Nazis? Is not another archive always required, an archive of the archive, a frame in which the archive is positioned, an ark which contains it, and an arch which discloses and closes it off? One could say that Uriel’s space is a moving archive. On the one hand, because his archive cannot count as a permanent institution, and needs a gallery or a museum to accommodate it. Is this strange mobility of the archive directed against the forgetting which lurks in the memory of the archive? And indeed defines this very memory (from out – of memory)? In this case, the spectator should not forget that where a swimming pool is to be found today, there once stood a synagogue in which Jews congregated, and that one of the most terrible crimes in human memory has blocked the transition from the past to the present. [The circumstance that the camera arc does not swing back to the beginning, that its movement only de- scribes a semicircle, perhaps indicates that the transition is not to be understood as a continuous process.] On the other hand, because it is a question here ofinterruption thus recalls the blind spot without which there would be no camera movement, no matter how mobile the camera may be and or how skillfully the cameraman goes about his work, in order to make his own body, the body of the camera, as transparent as possible. The swimming pool is not empty either. And the camera’s gaze lingers for a long time on the tiles which cover the floor. The camera does not describe a movement that extends regularly over time.] What does the eye discover as it is borne aloft? That the indoor pool must once have been a place of worship, a synagogue. The camera registers and archives the change, transform- ing it into a fact. But this transformation has to be carried out time and again, one cannot divorce the fact from its execution. The archive is an ark of knowl- edge, but at the same time an arch erected by Uriel, as if he wanted to hold fast the one and the other end (of the thread of history). A discovery is made during the traversal, such that one does not arrive at the end moving images, in both senses of the term. Does not the prayer of mourning draw attention to this double meaning of movement? Further, because the archive first comes to be opened through the execution of filmic movement, thus making impossible any imme- diate access to a given document. One discovers in the film that for which it provides documentary evidence – the space of the former synagogue. Finally, because the document is actually created through the video and cannot be said to exist as such. The video is not simply the reproduction of an independently existing document. It is a reproduction that is itself preserved and displayed as a document in a space created for it. What do I conclude from the fact that Uriel’s produc- tion of such a moving archive is the work of an artist, not that of an architect or historian? That one only discovers something in an archive when one discovers the archive itself. The archive requires a further ar- chive because it, too, must be discovered each time, or because there is no archive of all archives. However, do I not destroy Uriel’s moving archive by drawing such a conclusion, as if it had served me solely as an occasion, or a reminder, to amass and preserve knowledge in my own archive? – I saw Uriel’s other installation Housed Memory one Saturday afternoon in the Wiener Library. Above all, I remember the video with the camera pan- ning endlessly along shelves lined with documents.